How Long? – Wie lange eigentlich? I’m a bit tight-fisted. So I usually make it do with what I have. But finally, I was convinced that it would be silly to not buy this took I’ve known of forever. Da ich ein bisschen geizig bin, komme ich ziemlich lange mit dem aus, was ich habe. Endlich, endlich habe ich mir diesen Nähmaschinenobertransportfuss gekauft, von dem ich schon seit gefühlt hundert Jahren weiss, dass es ihn gibt. Er war ja sozusagen Berninas Antwort auf den Obertransport der Konkurenz Pfaff, auf der wir in den frühen 80ger Jahren genäht hatten. The tool (Bernina walking foot) comes with three different soles. It is easy to attach. It’s enough to pin the fabrics together, they won’t slip even in narrow curves. No tangling of the thread either. How could I wait so long until I bought it? Silly me. Alle diese Fäden sind jetzt bei uns im Laden. Schön, nicht wahr? 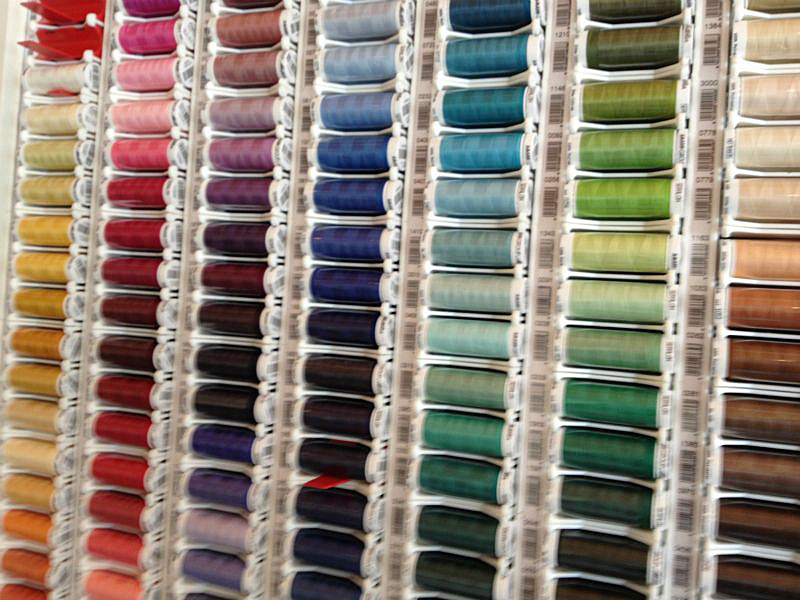 I can choose from all these threads. How wonderful! Presenta Aurea, Bischofszell. Bernina und mehr! 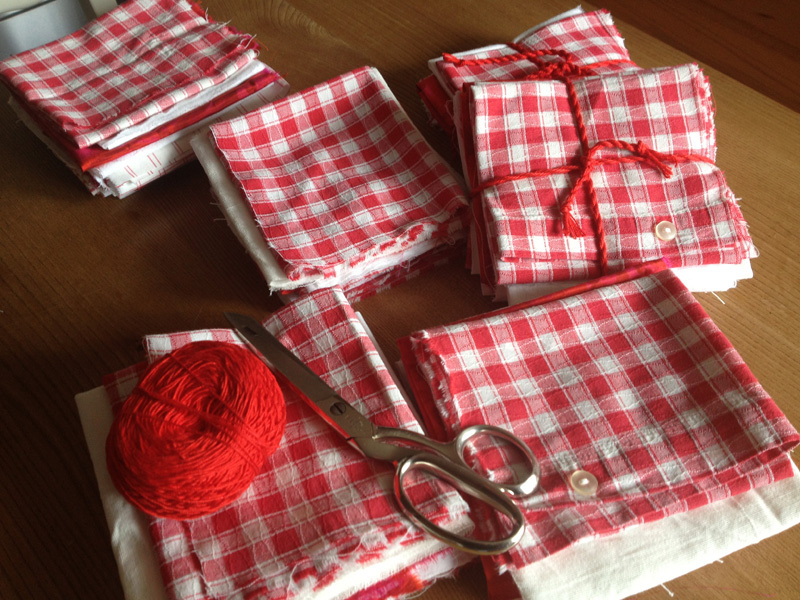 I’m very happy that I found some time to have a bit of textiles between my fingers this afternoon. I don’t mind that it was work I had to do. The little piles of fabric are supposed to be decoration. 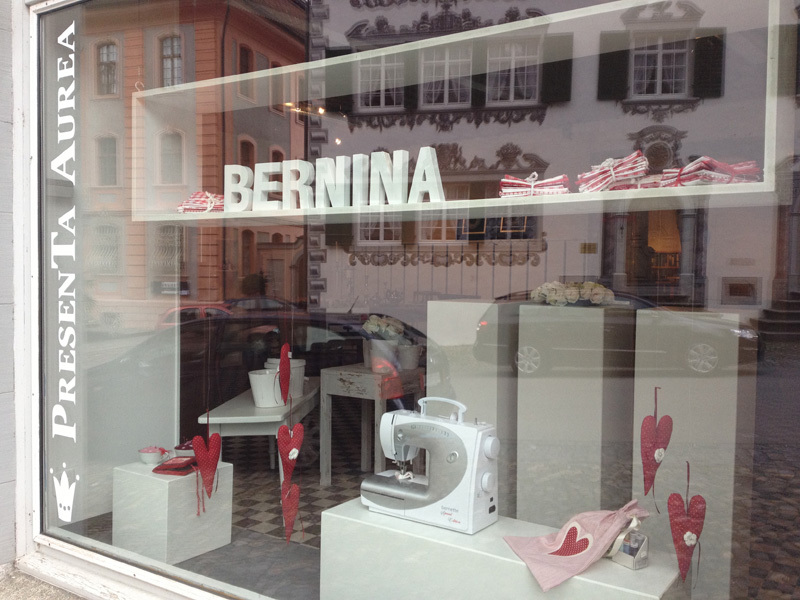 Red and white is matching the Logo of Bernina sewing machines. 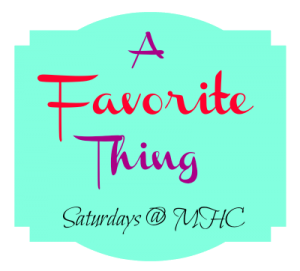 Bernina sewing machines will be a part of our store soon, and of course, need advertising. 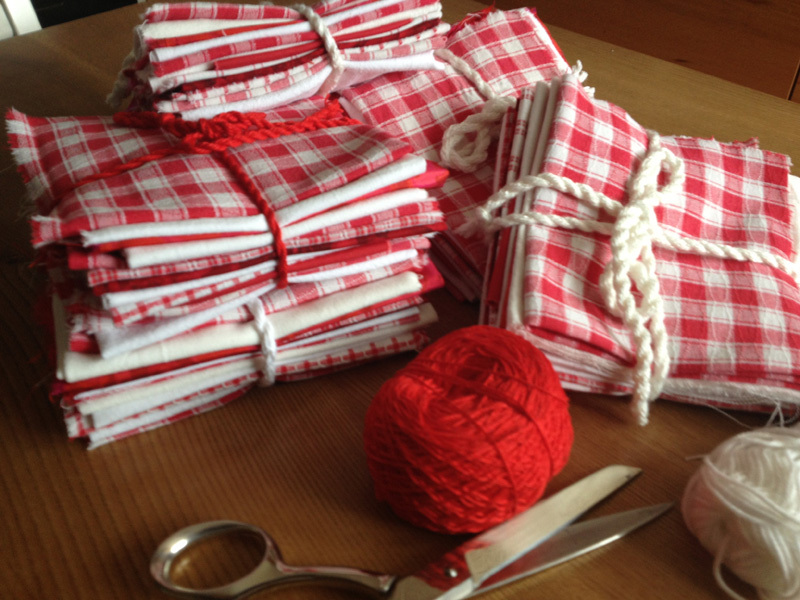 Now the little piles are tied together with a handmade cord and ready for display in the window. Actiually, we are moving into a bigger location these days. Presenta Aurea is located at a lovely street with little shops and a bistro. You can see two town houses of Bischofszell mirroring in the window. I can’t wait to open the store to customers on Tuesday.